Touring the light displays is a favorite activity for our visitors, and there’s no better or easier way to see the lights at your own time and leisure than our brand new Winterfest Lights Driving Tour. You will be able to enjoy the light displays at your leisure in your own vehicle with the Winterfest Lights Driving Tour. A Winterfest Lights Driving Tour Guide will be made available beginning November 1st. The Guide includes a map, information on the light displays, and history of the area. 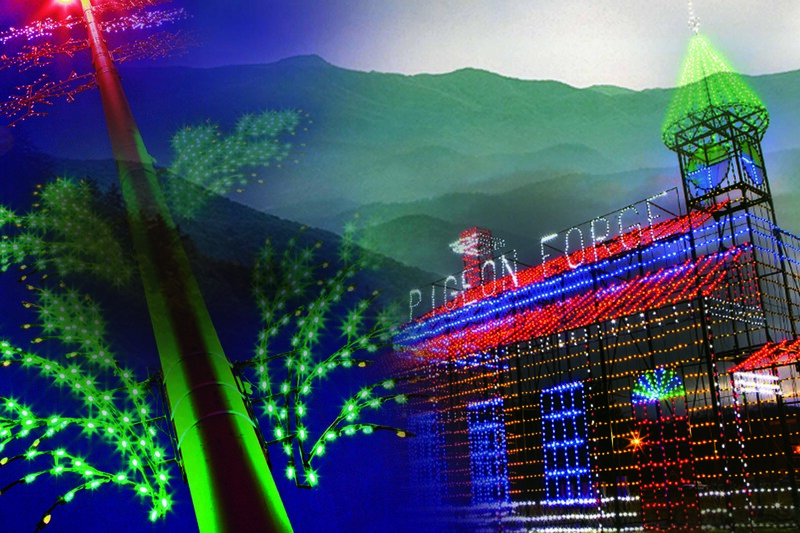 You can pick up the Winterfest Lights Driving Tour Guide at the Pigeon Forge Welcome Center at traffic light #0, or at the Fun Time Trolley office in Patriot Park. You may also download the Guide directly from this page. Winterfest light displays will shine through the end of February. If you’ve not had the opportunity to experience Winterfest, we invite you to join us this year to see why Winterfest is a seasonal favorite for visitors and local residents alike.